The most award winning book of any year! Winner of the Crimewriters’ Association Debut Dagger Award, the Agatha Award, the Macavity Award, the Arthur Ellis Award, the Dilys Award, the Barry Award, and the Spotted Owl Award. 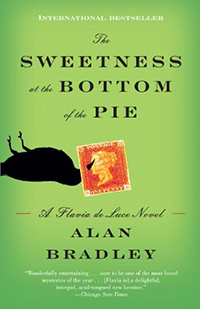 Meet eleven-year-old Flavia de Luce, an aspiring chemist with a passion for poison.